Congratulations on the new edition of this important text which we as a community study together every five years to remind ourselves not to fall into complacence and to be aware of the social consequences of our thoughts and actions. Many thanks for this superb teaching. This looks great! I submitted a request for the local public library (Halifax, Nova Scotia) to order it. I would like to get one of the local universities to order it, if I can figure out how to do this. 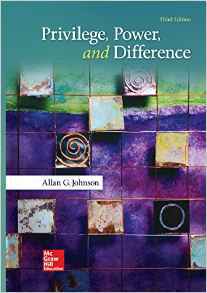 Congratulation Allan, I look forward to reading this new book of yours. Good luck on the new release Allan. Sending loving energy to you and Nora. I’m glad to have the new edition that reflects a decade of change. The final questions of the “epilogue” are especially welcome. An awkward question, though: why is this book so expensive? That’s a question for the publisher, McGraw-Hill. They have complete control over the price, and have been unmoved by my many efforts over the years to persuade them to lower it.